Spring is in the air and it's time to clear the cobwebs and bash the dust out of the rugs. 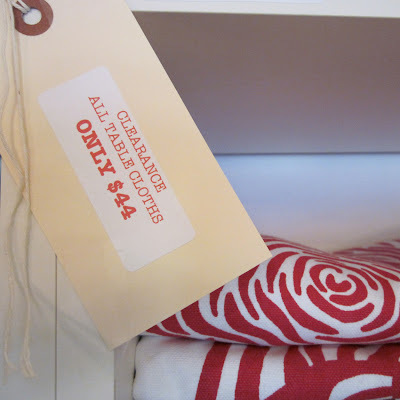 I am probably not going to get to the cobwebs and rugs but I am having a huge clearance sale. All tablecloths are now $44 and all table runners are $20. A whole heap of pillows have also been moved to our clearance section. What's Playing on the Radio?